Wisdom teeth, also referred to as the “third molars”, are the final set of molars that typically emerge during late teens or early twenties. Wisdom teeth can be valuable to the mouth if they are healthy and properly aligned, but most often they are misaligned and more prone to problems during their eruption (breaking through the gum tissue), which usually warrant wisdom teeth extractions. 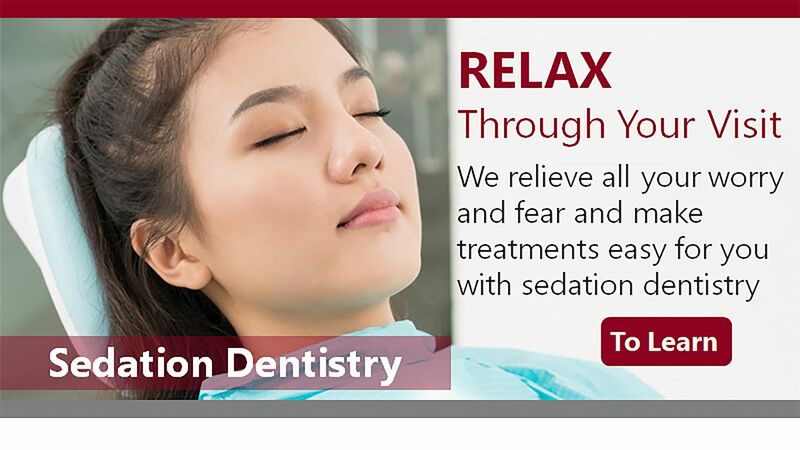 To evaluate and extract your wisdom teeth call us at (949) 364-9600 or to book your consultation appointment. Wisdom Teeth are easier to remove when the patient is younger since their roots are not completely formed, the surrounding bone is softer, and there is a less change of damaging nearby nerves or other structures. Most Often, the extraction of wisdom teeth at a later age becomes more complicated as the roots have fully developed, and the jawbone is denser. Wisdom Teeth are typically removed during mid to late teenage years. What Problems Can Rise with Wisdom Teeth? Before any of these conditions arise, call Aria Dental to schedule a consultation for your wisdom teeth evaluation. Our professional dentists will utilize the latest extraction methods such as Stem Cell Dentistry (Platelet Rich Fibrin (PRF)) combined with leading-edge technology to remove wisdom teeth with minimal post-operative discomfort and fast healing. Aria Dental offers three-dimensional Cone Bean CT scan, which can be helpful for viewing tissues like nerves and relationship of the tooth and nerve appropriately. Each year millions of Americans get their wisdom teeth extracted with minimal swelling, pain, and discomfort; however, 2-5% of tooth extraction patients experience dry sockets, which is as the result of dislodging of the vital blood clots that form in empty tooth socket after tooth extraction. This condition leaves the nerves and bones exposed and prone to infection, which could lead to symptoms like bad breath, unpleasant taste in the mouth, and intense pain in the mouth, face, and earache. If you develop dry socket, immediately call Aria Dental of Mission Viejo to be seen by our dental professional. 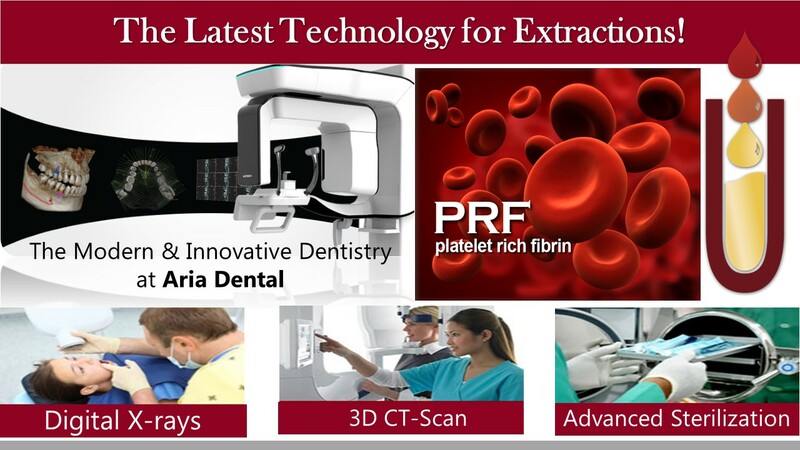 At Aria Dental, we offer Platelet-rich fibrin (PRF) treatment, an advanced therapy from your own blood that speeds healing process of soft and hard tissue and reduce pain & inflammation after extractions.